Mesothelioma is a rare form of cancer that occurs in the mesothelium –– a thin layer of tissue that covers most of our internal organs. In most cases, the tissue surrounding the lungs is affected. However, cases have been reported in which other body organs are affected with this condition. This form of cancer is very aggressive and often proves fatal if it is malignant Mesothelioma. Although several materials can possibly cause this disease, mesothelioma is primarily attributed to exposure to asbestos as reported by the Agency for Toxic Substances and Disease Registry of the CDC. Furthermore, Asbestos has been classified by the US Environmental Protection Agency (EPA) as a human carcinogen. According to the CDC (Center for Disease Control and Prevention), exposure to asbestos increases the risk of developing malignant Mesothelioma. The latency period for the disease is reported to be around 20 to 40 years. So exposure to asbestos can go unnoticed for decades. Hence, mesothelioma cases are diagnosed years after the first exposure to asbestos occurs. In a study conducted by the CDC's National Institute for Occupational Safety and Health (NIOSH), annual multiple-cause-of-death records were analyzed for the period from 1999 to 2005. It was found that a total of 18,068 deaths were reported because of malignant Mesothelioma. Asbestos is imported into the United States and was even mined in the country during the 20th century. In the US, the use of asbestos peaked in 1973 when it amounted to 803,000 metric tons before declining to 1,700 metric tons in 2007. Industrial workers employed in settings such as manufacturing, construction and shipbuilding prior to 1980s are the ones who are at most risk, as federal safety regulation was not in place at the that time. Exposure continues to occur today because of the demolition of buildings in which asbestos was used during construction. After taking into consideration several research findings, exposure to asbestos has been singled out as the main cause of Mesothelioma in most cases. This exposure affects individuals differently. Several factors are involved, including concentration, frequency and duration of exposure as well as the shape, size and chemical makeup of the fibers that determine your chances of contracting Mesothelioma. It is natural to feel concerned about Mesothelioma if you have experienced chronic exposure to asbestos. Doctors recommend that such people should get regular CT scans or chest x-rays. They must also get lung function tests as these tests can detect problems caused by asbestos fibers. If any problems are detected, you should obtain a professional Mesothelioma diagnosis. In the unfortunate event of being diagnosed with Mesothelioma, you have the grounds for filing a lawsuit. A Mesothelioma law suit can help you claim compensation for the additional costs borne in dealing with this disease as well as for the resulting emotional distress and trauma. Madison County, IL, accounts for the most number of total asbestos and mesothelioma filings in 2016. There is an upward trend (10% increase) in total filings (both asbestos and mesothelioma) in this county from 2015 to 2016. Other jurisdictions which show the same trend for the 2015-16 period are: Los Angeles, CA, Allegheny, PA, and St. Louis, MO. However, two of Illinois’s counties show a downward trend – Cook County shows a 23% and St. Clair County shows a 47% decrease in total filings. *Statistics are taken from KCIC’s report titled “Asbestos Litigation: 2015 Year in Review”. The dangers associated with asbestos exposure have been known to the Asbestos manufacturers for decades. Victims of the disease rightly feel that they should have been warned about these dangers and so undue hardships both for the victims and their families could have been avoided. Treatment plans are often tailored to the patient's needs so the medical expenses incurred because of the disease vary from person to person and are often considerable. If you feel that you or a loved one has developed mesothelioma and have also been exposed to asbestos fibers during their lives, you will typically be eligible for filing a lawsuit and claim compensation for any treatment related expenses, as well as for the pain and suffering caused by this disease. The litigation process involved is quite complex. 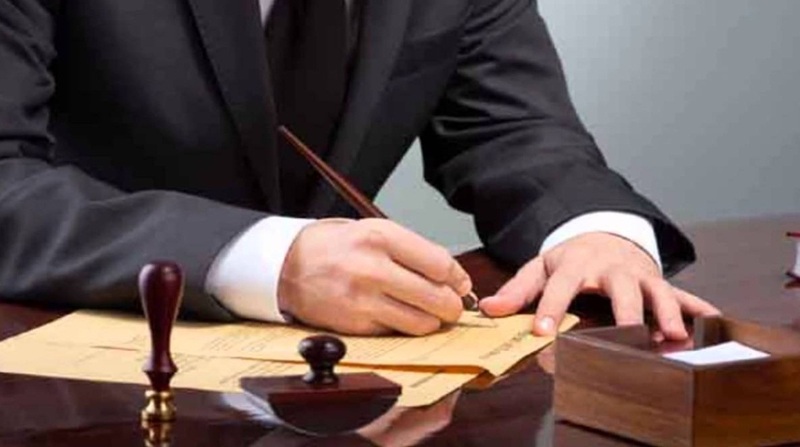 So it is better to hire the services of a Mesothelioma law firm that has the time as well as the resources to tackle investigations specific to your case. Trust your Instincts: No matter how good a mesothelioma attorney would look on paper, if you don’t feel he is the right person to appoint try finding someone else with whom you have a better understanding and working relationship. Choosing the right lawyer can help you in getting the right settlement so this selection process is worth every second of yours.